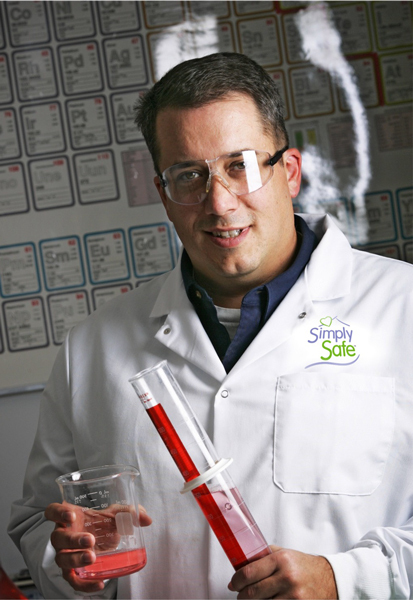 Simply Safe was founded several years ago by an industrial cleaning chemist and dad. For 25 years, cleaning chemist Matt Pliska has formulated safer neutral pH cleaning products used by manufacturers of metal parts like faucets, cookware, automotive and truck components, wire, wheels, equipment and many others. His non-hazardous products have eliminated millions of pounds of hazardous materials and toxic fumes from the environment, culminating in winning a Governor’s Award for Pollution Prevention. After successfully replacing these hazardous caustic cleaners used by industrial parts manufacturers in factories, he decided to bring the same health and safety benefits of his industrial cleaners into the home. After all, if Matt’s products successfully cleaned faucets, cookware and other household items during the manufacturing process, his products could certainly clean them once they are in the home (because he has already cleaned them once at the factory). This need was reinforced with the birth of his kids, when Matt was alarmed at how hazardous many household cleaners actually were. He formulated the entire Simply Safe cleaning product line, incorporating many of the same safety and performance features perfected in his industrial product line. His hallmark pH neutral industrial cleaners have become the industrial standard for cleaning all types of parts, and now with Simply Safe Cleaners, busy moms get the same safety benefits and peace of mind. His industrial pedigree as a cleaning expert means you know these products work and smell great. 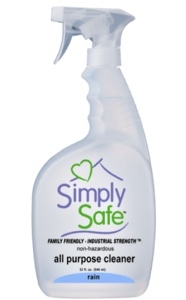 Simply Safe cleaners work well the first time, are affordable, and best of all, you will love the smell!